LONDON (UK Space Leadership Council PR) — The UK space sector has set out a plan to deliver new jobs and growth for the sector, with a goal of growing the UK share of the global space market to capture 8% by 2020. The Action Plan published today comes three years after the Space Innovation & Growth Strategy (IGS), published in February 2010. The Action Plan proposes measures designed to enable the UK to develop an even more supportive business environment, in which space companies can deliver growth and benefit to the national economy. In addition to a call for stronger support for export and an improved regulatory framework for space activity, the report also focuses on measures to create and sustain new business in related markets, including the development of a vibrant regional SME community spread across the UK. The Space IGS, published in February 2010, made 16 recommendations to build on the momentum of a sector that has grown on average by 7.5% since 2008/2009. The 2010 report laid out the ambition to increase the UK’s share of the global market from 6.5% to 10% by 2030, generating £40 billion a year for the economy. Key service sectors identified in today’s plan as opportunities for the UK space industry include better transport management and government services using satellite data, and seamless connectivity for telecommunications around the world. UK satellite manufacturing and technical excellence will also be expected to grow to accommodate the increasing demand for services, while new areas of expansion, such as low-cost access to space and renewable energy from space will create unique opportunities for the market. Led by Andy Green, the co-chair of the UK Space Leadership Council, the Space IGS team analysed the challenges facing the sector and made five key recommendations to build on the momentum of the last five years. Andy Green said: “I launched the Space Innovation and Growth Strategy in 2010 and since then, much has been achieved under the auspices of the Space Leadership Council with the establishment of our highly-successful UK Space Agency and the new Satellite Applications Catapult. We have also had a step-change in our commitment to the European Space Agency and their commitment to UK leadership in key programmes. 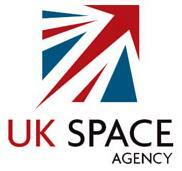 Universities and Science Minister David Willetts, said: “The UK space industry is already a success story. It’s worth £9 billion to the economy annually and employs nearly 30,000 people. But we can and should do more. Space is one of the eight great technologies of the future and I want to make the UK the best place to grow existing and new businesses in the world. “Space technology is an essential part of everyday life and is vital for weather forecasting, navigation, global communications and broadcasting. Traffic monitoring, for example, relies on the GPS satellite system. It’s an incredibly exciting and wide ranging sector with huge potential for expansion. Recommendation 1. Develop the high-value priority markets identified to deliver £30 billion per annum of new space applications by promoting the benefits of Space to business and Government and engaging service providers. Recommendation 2. Make the UK the best place to grow existing and new space businesses and attract inward investment by providing a regulatory environment that promotes enterprise and investment in the UK. Recommendation 3. Increase the UK’s returns from Europe by continuing to grow the UK’s contributions to ESA programmes and securing greater influence in large European-funded programmes. Recommendation 4. Support the growth of UK Space exports from £2bn to £25bn per annum by 2030 by launching a National Space Growth Programme and defining an International Policy that will improve collaboration with nations across the world, enhance the UK’s competitive edge in export markets and enable targeted and market-led investments in leading edge technology. Recommendation 5. Stimulate a vibrant regional Space SME sector by improving the supply of finance, business support, information, skills and industry support.